The Bridge Other Teacher Training Program is 500 hours and is done in 9 months. Students can attend this program locally or long distance. Upon completing the program students will be proficient performing and teaching the complete classical Pilates repertoire from a beginner level to the advanced level on all pieces of equipment. It is our belief that you must be proficient with the full body of work to fully understand how it can enhance a client’s movement and health. Upon completion of all requirements of the program, participants receive an Advanced Teacher Training diploma and meet eligibility requirements to take the PMA Certification Exam (this can be done through the Pilates Method Alliance). Students can send in their application by downloading it off the website or filling it out directly on the website. Students are responsible for paying the application fee $75.00 USD, Practical Program Evaluation $160.00 USD, and Performance Program Evaluation $80.00 USD upon submission of the application. In order for students to be eligible for the Bridge Other Program, they must have graduated from a 450 hour comprehensive teacher training program (based on classical repertoire). To be accepted into the Bridge Other Teacher Training Program students must pass a Level III (Intermediate) Practical teaching on the Reformer and Mat; and a Level IV (Intermediate/Advanced) performance on the Reformer. This can be sent by video through the internet or DVD or completed with a TPC teacher. If there is a local LTT, the student can complete their Program Evaluation with that LTT for acceptance to the program. Applicants must make payment of $80 for the 1 hour performance evaluation and $160 for the 2 hour practical evaluation when filling out the application online. Students must complete the performance without being told what to do, knowing the order, repetitions, springs, equipment changes, and breath while moving from their core. The Pilates Center sells a DVD showing the exact order, repetitions, springs, equipment changes, and breath to assist students with passing their Practical Evaluation. All students applying for the program must be injury free (recent injuries) and post-partum at least six months. Once accepted into the program, students must pay the registration fee of $250 to begin the enrollment process. 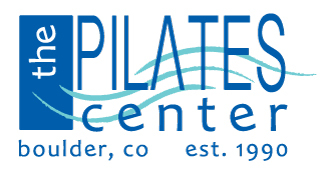 All fees can be paid online or by contacting the front desk at The Pilates Center. Students can begin the program at any time. Students will be contacted after the application is received by email or phone. Once the Program Evaluation is reviewed and the student passes, the student will receive an email accepting them into the program. The email will have documents that are sent to the student; the Payment Options and Plan, and 5 Enrollment Agreements. Students must return to TPC by email (preferred) or mail the first and last page of all 5 Enrollment Agreements and Payment Options and Plan signed and initialed, and the first installment for the training program must be paid in advance to Orientation. All students must attend the Formal Lecture Series (60 hrs) once during their program for a total of 120 hours. The Formal Lecture Series: Weekends I – IV is offered twice a year at The Pilates Center. Students have the option to attend the lectures live at The Pilates Center (or a TPC Licensed Studio), or online through our online teacher training program, or students can complete a combination of live and online lectures. The lectures need to be taken in order. The Pilates Center’s Bridge (Intermediate) Teacher Training Program is nine months long. It requires a minimum of one trip to Boulder, Colorado to complete the program. Students will need to dedicate a minimum of 10 – 12 hours per week to their Internship.